It's hard to deny that a good playlist can define a solid workout and definitely make a difference on days you have to drag yourself into the gym. 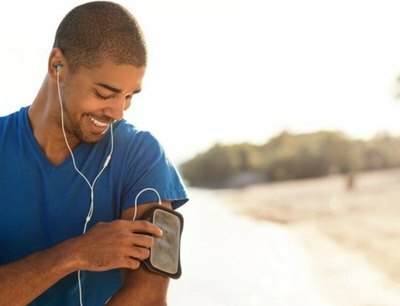 Do you listen to different styles of music based on your workouts? Yes. Absolutely. When I lift I listen to heavy metal and Rap and when I run I listen to hip hop/pop music. In real life in my car or just hanging out I listen to classic rock. hehe. I love my music at the gym! I'm all over the place from metal & rock to country to top 40 and everything in between. my playlists reflect that and usually fit into to what I am doing that day. Mine is mostly metal, UK grime, viking metal, and gwar. I read somewhere that fast songs with heavy drums increase testosterone, which improves workouts. I consider myself pretty educated when it comes to music. I had google viking metal. merc you can probably skip GWAR. From what I've listened to this is the easiest transition into UK grime. The official video is really the way to go, but there's this stupid skit leading up to the song. You guys use Pandora or how do you stream music during your workouts? Something else that's just is that there are folk metal bands from all over the world. I'm done trying to remember how to spell the names of bands from south america but they exist. I use Amazon prime music mostly.